This is definitely one of the most holographic polishes I own, and thankfully the Make Up Store has a lovely selection of holos that are not limited edition :D must get back there and pick up some more, they are quite pricey at £11 but I just love the holo on these so much, and when used with Make Up Store's Aqua Fix Base Coat they really do last better than other holos. 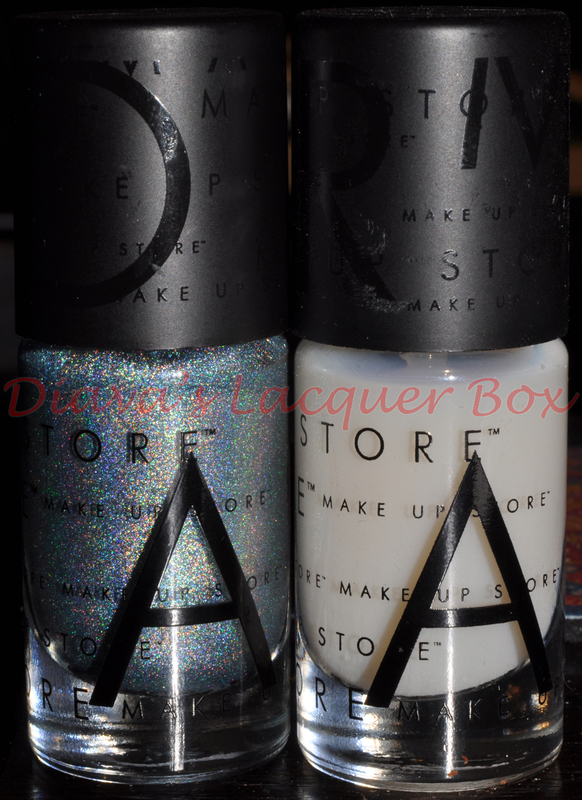 As stunning as these are on their own I was eager to try crackle polish on top to see what effect it would have over holos, and I have to stay I was very pleased with the result :D post to follow. 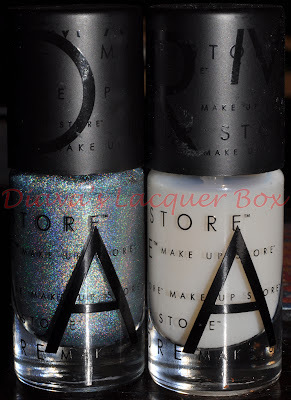 One thing I love about Make Up Store Polishes, is the fact that they are all named after staff members at their stores :D think that's a nice touch. 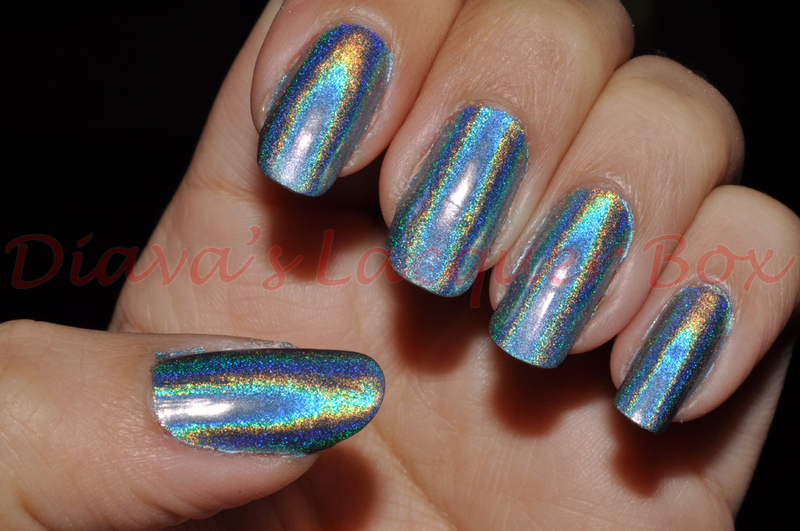 For a full range of Make Up Store's Holographic polishes you can click here. Make Up Store is a Swedish brand, I think they have two stores in London, one in Westfield Shopping Centre and one in Carnaby St in Central London. 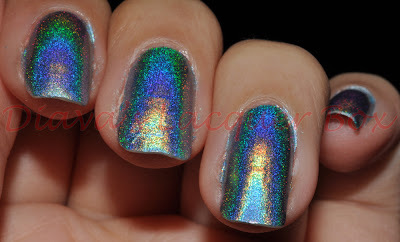 I've only recently learned about holo polishes and I am going crazy over your blue nails! I bet you just couldn't stop looking at your nails (I know I sure wouldn't)! So cool! 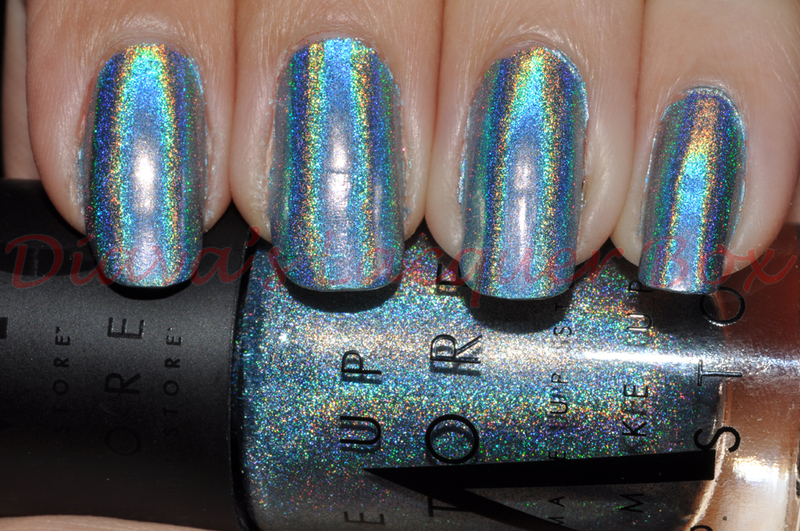 Love this holo!